You might also wish to consider a House and Land package. House designs should conform to the Tasman Ecovillage Residential Building Design Guidelines and are subject to approval from the Body Corporate. 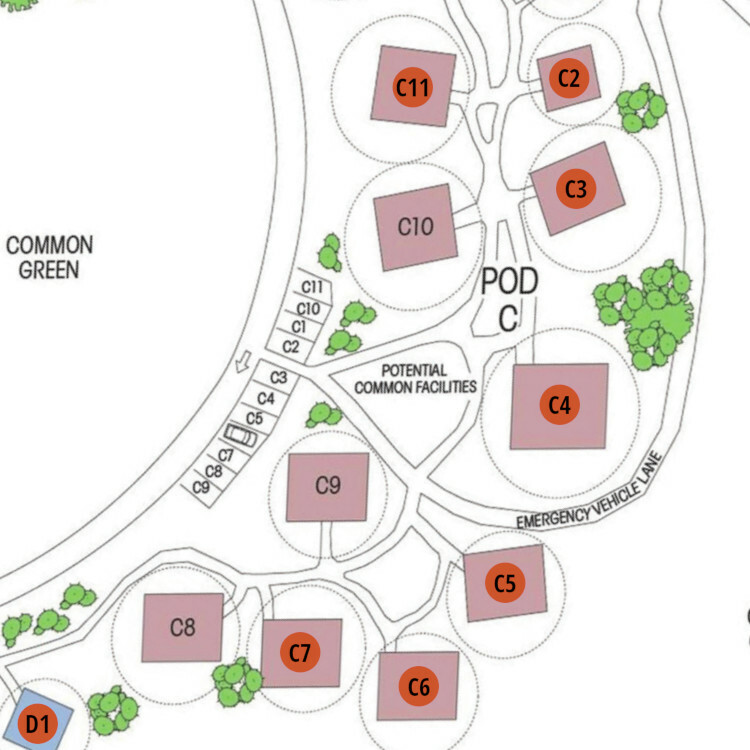 Residential home sites are grouped into pods of 10 to 12. Click on the tabs below to check the availability of lots in each pod. Pod A is north of the original motel complex. The home sites are fairly level and some have views of Parsons Bay. 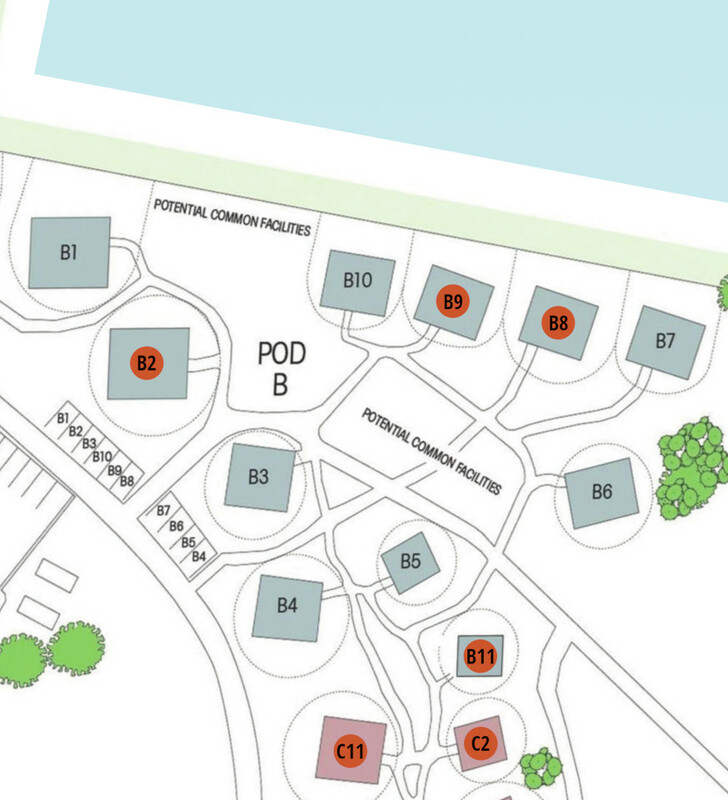 The Pod is close to the main facilities such as the tennis courts, motel, café, laundry, community kitchen, barbecues, breezeway and the shed. Neil, Sarah and Hannah moved from Western Australia in 2013 to become involved with Tasman Ecovillage. They initially rented one of the two bedroom apartments and moved into their Systembuilt home in Pod A in August 2017. Neil works from home building and maintaining websites and Sarah helps look after the housekeeping in the motel. Hannah is studying towards a child care qualification. Neil likes to help out by looking after the TEVA website and Sarah can often be found working in the garden. Pod B is north east of the original motel complex. There are quite a variety of home sites with some of the lots being quite sheltered. Most of these lots have views of the surrounding bush and the creek rather than sea views. 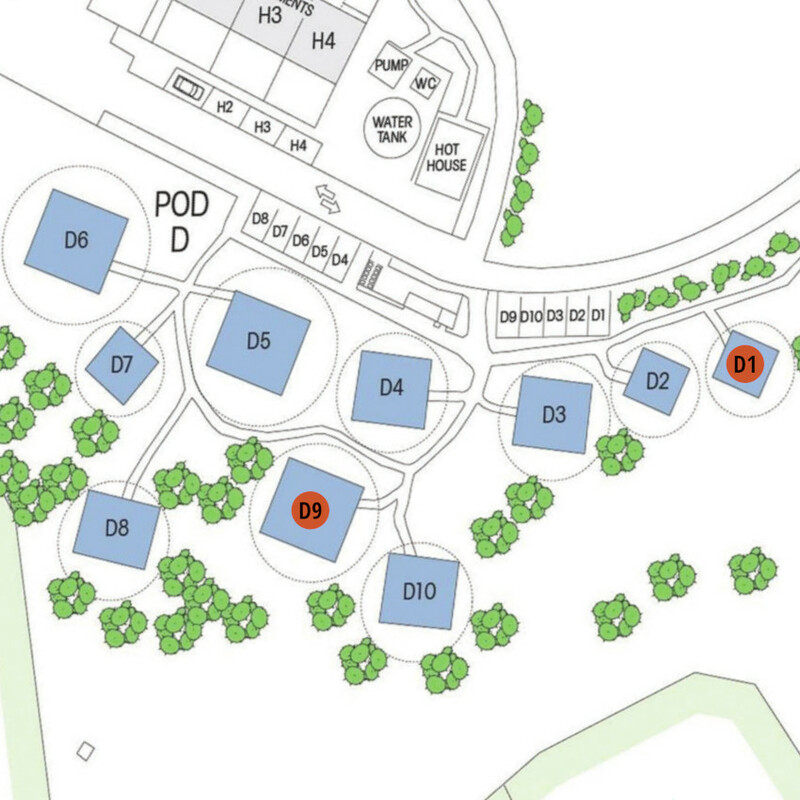 The Pod is reasonably close to the main facilities such as the motel, café, laundry, community kitchen, barbecues, breezeway, the shed and the village green. Jack, Hannah and Jeanie stayed in one of the two-bedroom apartments in 2014 and 2015 and started a permaculture market garden project, expanding and improving the gardens. After some time in Hobart and back in the UK for a while, we were all delighted when they rejoined us in 2017 together with Flora, a new addition to the family. They have resumed the market garden project and together with Bec, they have now opened Fat Beets Food Hub supplying fresh produce and other items mostly grown or made on-site at the Ecovillage. Otis joined the family in 2017 as our first Tevarian born on-site and the family are making their home in Pod B in 2018. Pod C is east of the original motel complex. There are a variety of home sites with views of the village green, the surrounding bush and the creek. 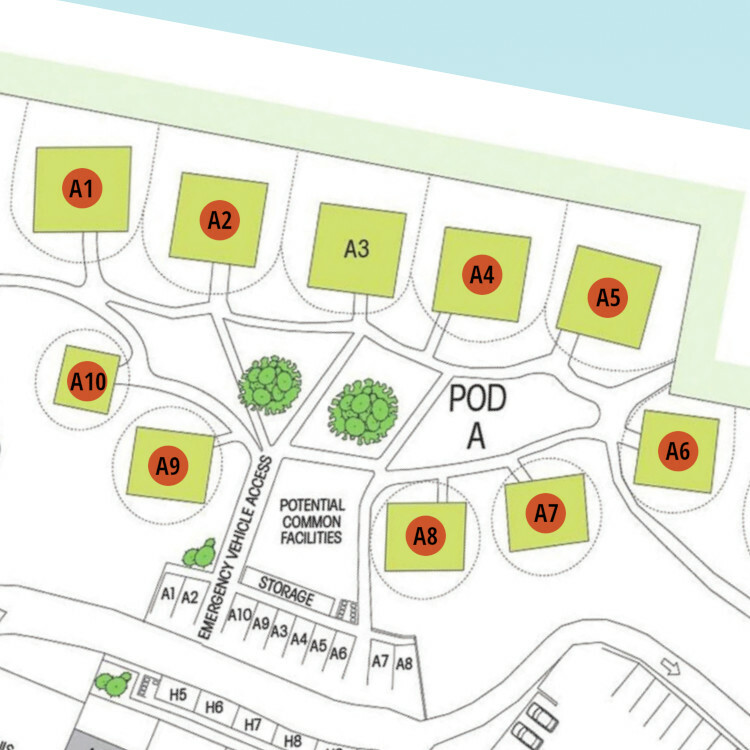 The Pod is close to the village green, community kitchen, barbecues, breezeway, the shed and the gardens. Alan is the Pod C pioneer and will move into his house in 2018 after being a frequent visitor, volunteer and resident for a few years. The home is being carefully constructed by joining and recycling two transportables into a beautiful, comfortable and sustainable home. Alan helps out considerably as our chief composting expert and can often be found whipper snipping and mowing to keep the grounds tidy and to reduce our bush fire risk. Alan is also keen on experimenting with azolla which grows well in the dams and has a wide variety of uses such as animal feed and fertiliser. Pod D is south of the original motel complex. There are quite a variety of home sites and the lots in Pod D have good views of Parsons Bay. 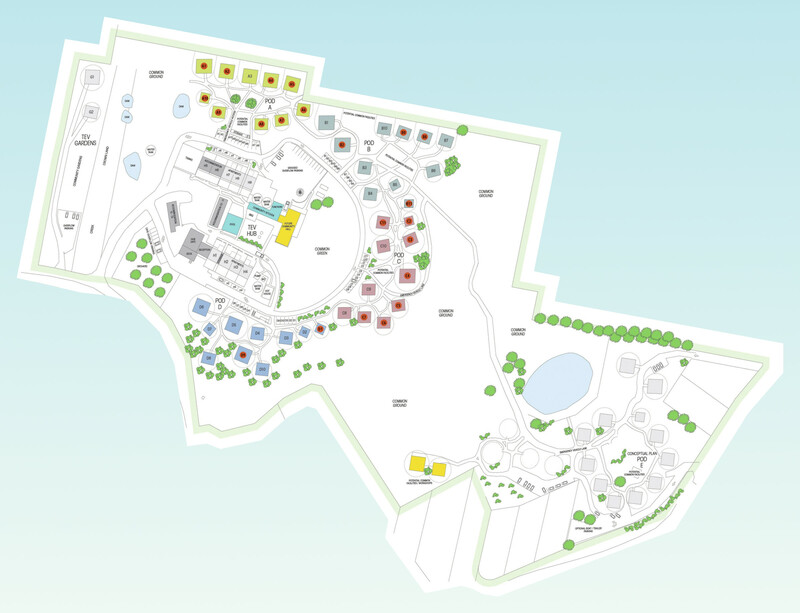 The Pod is close to the main facilities such as the motel, café, laundry, community kitchen, barbecues, breezeway, the shed and the gardens. If you are quick, you can still be one of the first residents in Pod D! We are aiming to create affordable housing in Pod E through a Community Land Trust or a similar arrangment. If this is something you think you can help with, we'd love to hear from you.